GopherCentral Library: Ever see a dog ride a horse? Here's a sneak peak of the talented Dally and Spanky! 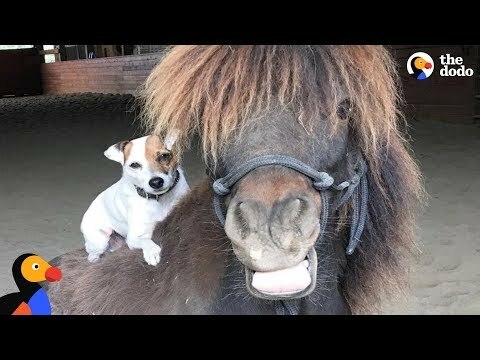 Spanky the miniature horse and Dally the dog became best friends right away. They even became well known celebrities in a little town in north east Washington. One day, Dally jumped up on Spanky's back to take a fun horsey ride and they've been performing tricks around the United States ever since. The cute little duo never seem to leave each others side. You even see Dally laying on Spankys back when he sleeps, it's so cute. Be sure to click on the link below to see the talented Dally and Spanky duo! Girl races her pet Camel!